On a glorious day at Royal Blairbeth G.C., the league’s inaugural golf event took place with 14 participants. Teams represented were County Thistle, Greenbank United and Shawbridge and the Referees. 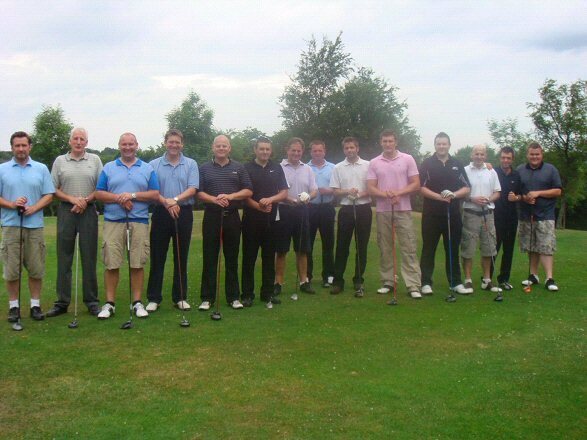 All in, the day was a great success and I hope that the SSML Golf Day can grow year in, year out. I know there are more golfers amongst us within the League so I was hopeful of a better response but I recognise that the geography of where the event was staged and the day being held midweek may not have suited everyone. If you are a partaker of the sacred game then I hope to see you next year. 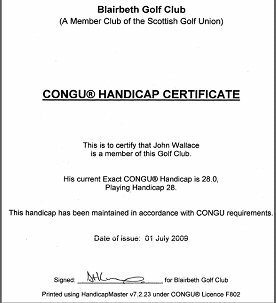 I have provided a copy of my handicap certificate for anyone who is screaming “FIX” – obviously local knowledge came into force !